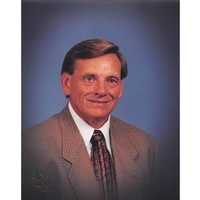 Vernon S. Dempsey of Lake Wales, Florida passed away Friday, March 29, 2019 at Good Shepherd Hospice in Auburndale. He was born December 12, 1940 in Signal Mountain, Tennessee to the late James Willie and Minnetta Dorothy (Miles) Dempsey. He has been a resident of the area for 12 years and Florida for 22 years. He was a Controller for DuPont and a member of the First Baptist Church in Lake Wales. Stanley loved his corvette, he was in several corvette clubs, enjoyed golf, the outdoors, hiking, he enjoyed doing a comedy skit with the character “Vernon Snodgrass” from Bulls Gap, Tennessee, he was a Deacon in the church’s in Florida and Tennessee and loved the Lord, his family and friends. He is preceded in death by his son Gary Miles Dempsey. He is survived by his wife of 41 years Jane Dempsey, son Gregory Stanley Dempsey of Chattanooga, TN, 1 grandchild Shelby Jane Pardue and husband Josh, and 1 great grandchild Milo Hunter Pardue. In lieu of flowers donations may be made to the Youth mission trips church of your choice and/or Matt Elmore Ministry in Africa.